As federal authorities continue their efforts to bolster the safety of big trucks through the MAP-21 initiative, it’s imperative that owners of these vehicles also incorporate leadership on this issue. Reducing incidents of Boston truck accidents will mean an investment of time, money and commitment on the part of these companies. It’s going to mean ensuring that the updated hours of service rules are honored. It’s going to take the careful implementation of policies that will guarantee drivers are properly-trained and trucks aren’t overloaded. And finally, it means making sure the trucks are in good working order. Unfortunately, as the case of Gaines v. K-Five Constr. Corp. would suggest, we can’t expect that kind of commitment from all truck companies. This was an employment law case, but it highlights some of our concerns relative to the priorities of safety and roadworthiness that companies place on these large vehicles. According to court records, the plaintiff in this case was the employee of a construction firm in Illinois, where had worked for five years. 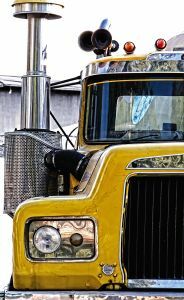 His lawsuit was filed after he contended he was fired for expressing safety concerns about the trucks in his employer’s fleet. Initially, the trial court granted a summary judgment in favor of the defendant. However, the appellate court reversed in part and remanded, finding that the plaintiff had presented triable issues of fact as to whether he was fired for complaining about safety issues. During the several years that the plaintiff had worked for the construction firm, there had reportedly never been any major issues, until the end. As a seasonal dump truck driver, he was responsible for operating the large vehicles for the company, which primarily focused on heavy highway paving. The driver’s daily duties included hauling asphalt and other road building materials to and from job sites. Most of the time, workers, including him, were assigned to the same truck for safety purposes. However, one day in the spring of 2010, he was assigned to a different truck. Upon conducting a visual inspection of the vehicle prior to his shift, he deemed it unsafe for the road because the tail pain was covered in asphalt. This violated company policy, but the trucker was also concerned that the material could come loose during transit, and possibly pose a risk to other vehicles. The plaintiff informed his supervisor, who personally attempted to scrape the asphalt away. However, some of the debris remained, and the plaintiff still refused to drive the truck. The plaintiff was then assigned to another truck. This one had been in a rollover crash four years earlier, but had recently been repaired and passed muster with a state safety inspection. Later that day, the plaintiff was nearly involved in a crash with that truck when it unexpectedly pulled hard to the left. He informed the truck maintenance supervisor of the problem that evening. The next day, he was assigned to this same truck, even though his regular truck was available. It was at this time that he told the supervisor the truck had a bad seat, the door didn’t close correctly, it had a faulty tarp and the vehicle had a steering problem. He was not given a new truck, despite his complaints, which he recorded in his log at the end of his shift. The next day, he was again assigned to this same truck. Again, he complained. He was assured the truck had been inspected and was fine. Another driver was called to test-drive the vehicle. He said it was fine. Not wanting to risk his job, the plaintiff again took out this same reportedly defective truck. He again reported his concerns to the mechanic and again on his daily log. The following Monday, he was fired. We can’t say for sure whether his complaints about safety were the reason. The company contends the termination was for insubordination and falsifying statements. However, the evidence appears strong in the plaintiff’s favor.